Stephen Lendman sums up the success of Russian and Syrian militaries against Washington-supported ISIS. Washington claims to be fighting ISIS, but doesn’t. 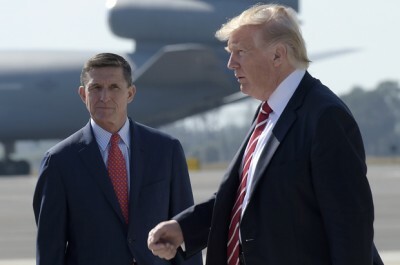 Remember, U.S. General Flynn, former director of the Defense Intelligence Agency, revealed on television that it was the “willful decision” of the Obama regime to use ISIS to overthrow the Assad government. General Flynn said the decision was made over his objection. News agencies and writers should stop referring to ISIS and any of the other groups as “terrorists.” The term “terrorists” connotes an independence that the “terrorists” do not have. These so-called “terrorists” are organized, financed, and armed by Washington and Washington’s vassals. Washington uses “terrorists” as a foreign policy tool. This has been going on for decades. Yes, sometimes the “terrorists” escape Washington’s control. Washington supported Osama bin Laden in Afghanistan to help organize the Mujahideen to fight against the Soviet occupying force. Everyone knows this, or, perhaps I should say, formerly knew it prior to the presstitutes helping Washington bury all the facts and replace them with fake news.